WASHINGTON (March 16, 2017) – (RealEstateRama) — Multiple years of uninterrupted job gains and hope that the best is yet to come in 2017 are igniting consumer confidence across the country, and especially in rural and middle America, according to new consumer survey findings from the National Association of Realtors®. The survey additionally found a growing disparity among renters who think it’s a good time to buy and homeowners who think it’s a good time to sell. In NAR’s ongoing quarterly Housing Opportunities and Market Experience (HOME) survey1, respondents were asked about their confidence in the U.S. economy and various questions about their housing expectations. In an extraordinary reversal from previous quarters, NAR Chief Economist Lawrence Yun says the surge in positive sentiment about the economy is primarily from respondents living in the Midwest (67 percent; 51 percent last quarter) and rural areas (63 percent; 43 percent last quarter). Last March, only 49 percent of Midwesterners and 35 percent of those living in rural areas thought the economy was improving. Higher confidence in the economy is also translating to better feelings about households’ financial situation. The HOME survey’s monthly Personal Financial Outlook Index 2 showing respondents’ confidence that their financial situation will be better in six months, jumped to its highest reading in the survey, climbing to 62.6 in March from 59.8 in December 2016. A year ago, the index was 58.1. On the cusp of the busy spring season, most households believe now is a good time to buy a home. However, confidence continues to trickle backwards among renters. Fifty-six percent of renters said now is a good time to buy, which is down both from last quarter (57 percent) and a year ago (62 percent). Eighty percent of homeowners (78 percent in December 2016; 82 percent in March 2016) think now is a good time to make a home purchase. Younger households, renters and those living in the costlier West region – where prices continue to spike – are the least optimistic. One promising trend that could alleviate supply shortages is the notable bump in the share of respondents this quarter who believe now is a good time to sell a home. Sixty-nine percent of homeowners think now is a good time to sell, which is up from last quarter (62 percent) and a year ago (56 percent). Continuing the trend over the past year, those in the West continue to be the most likely to think now is a good time to sell (77 percent), while also being the least likely to think it’s a good time to buy (61 percent). In January through early March, a sample of U.S. households was surveyed via random-digit dial, including half via cell phones and the other half via land lines. The survey was conducted by an established survey research firm, TechnoMetrica Market Intelligence. Each month approximately 900 qualified households responded to the survey. The data was compiled for this report and a total of 2,698 household responses are represented. 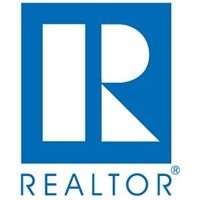 1 NAR’s Housing Opportunities and Market Experience (HOME) survey tracks topical real estate trends, including current renters and homeowners’ views and aspirations regarding homeownership, whether or not it’s a good time to buy or sell a home, and expectations and experiences in the mortgage market. New questions are added to the survey each quarter to reflect timely topics impacting real estate. HOME survey data is collected on a monthly basis and will be reported each quarter. New questions will be added to the survey each quarter to reflect timely topics impacting the real estate marketplace. The next release is scheduled for Monday, June 12, 2017 at 10:00 a.m. ET. 2 Index ranges between 0 and 100: 0 = all respondents believe their personal financial situation will be worse in 6 months; 50 = all respondents believe their personal financial situation will be about the same in 6 months; 100 = all respondents believe their personal situation will be better in 6 months. 3 Total housing inventory at the end of January was at 1.69 million existing homes available for sale, which is 7.1 percent lower than a year ago (1.82 million) and has fallen year-over-year for 20 straight months.